Big clients can be great for companies who don’t have the resources to constantly pursue small clients. They can help you reach sales goals and they provide repeatable business. But how do you connect with big prospects who are barely online or on social media? Today on The Sales Evangelist, we’ll talk to Melinda Chen, the founder of Women Making Big Sales, about how to streamline processes and make connections with large companies. Social selling is pretty straightforward, and in the past, it meant creating an opt-in, which meant hiring a writer and a designer. It also required time to establish a social presence and build an email list. While it’s still true that it takes time to build relationships with industry, by focusing on exactly those organizations you want to target, you’ll achieve results more quickly, and your results will be more specific to your goals. Begin by going to your LinkedIn page and doing an advanced search for a relevant keyword. Specify the industries you want to include in your search, and realize that if you’re including more than three, you likely need to narrow your efforts. 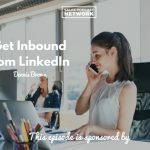 Ideally, you’ll be able to stay within two industries and still generate enough results to begin making connections. Look for second- and third-degree connections that you can nurture to become first-level connections. 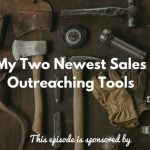 The more existing connections you have within an industry, the shorter your sales cycle will be. Once you determine who you’d like to reach, the next step is to figure out how to reach them. 2. Create a relationship map. After you’ve identified the big clients you’d like to work with, you’ll need to determine how you’ll connect with them. Relationship maps help you find existing connections that can connect you with the people you’re trying to reach. Nomads move around a lot, so they have vast experience in different organizations. They also have a lot of insights to share. Superconnectors are people who have access to a lot of people, and they willingly give introductions once you’ve established trust with them. Hubs represent the places where your target clients will likely be. These groups will help you streamline your sales cycle and prevent you from building your prospect list completely from scratch. If you’re trying to sell a product to the VP of HR, it’s very likely that many other sales professionals are doing the same. If you create a second connection within the same organization, you’ll create a synergy that didn’t exist before. Imagine the decision-maker in a prospective company hears two different people in his organization mention you as a great person to work with. It creates a power shift, so that you’re no longer a sales person asking for business; instead you’re a sales professional that he feels compelled to work with. Sometimes, a sense of competition between colleagues can work in your favor. 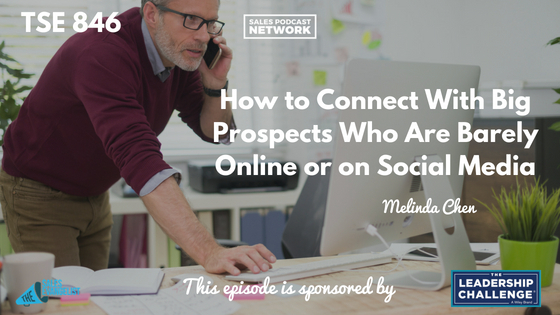 You can connect with Melinda and find even more of her insights and motivations at womenmakingbigsales.com and on her Facebook page of the same name. Our friends at Wiley have provided a free excerpt of the book Stop Selling & Start Leading. Based upon research and interviews with buyers, the book provides a blueprint sales professionals. Read an excerpt of the book here.